Dirty Harry ‘Clint Eastwood’ directs Chris Kyle's autobiography with astuteness and creates a prodigy film of a war zone. The catastrophic twin tower occurrence has resulted in mayhem and gave suffering to millions who were innocent and nowhere in connection to the tragedy struck in America. Eastwood has gun the camera behind the most lethal force of Snipers from both the countries Chris Kyle [US] and Abu Musab al-Zarqawi member from Iraq a former Olympic shooter. Two hour plus the film gives a insight into the lives and tragedy of the two countries battle to recuperate the security for the people who have lost their dear ones in the Biggest Terrorist Attack which America has gone through, also shows the avenge with emotional balance in the mind of this Snipers as one has to deal while to shoot a kid carrying a grenade [the reason] endangering the life of the best trained Seals in the world. 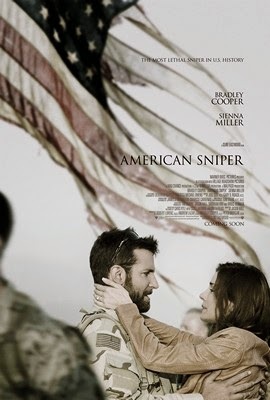 Bradley Cooper as the Sniper smartly metamorphose as the film progress, his training his Romance with Sienna Miller and the love for his country, ‘I am born in the best country in this world’ ethos the sanctimony of every American. Dirty Harry has added one more feather to his cap ‘American Sniper’ seems to be the best work of his career.